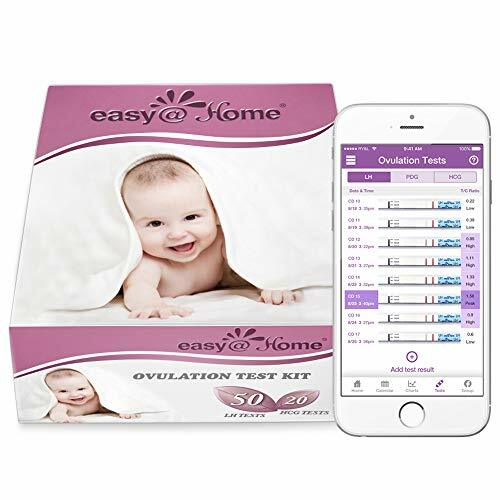 ✔Specially designed for "trying to conceive" women to get pregnant naturally: These Easy@Home ovulation tests give women a greater chance of predicting their most fertile days, even if their cycle lengths vary. Pregnancy tests can tell pregnancy sooner than a missed period. The Easy@Home 50 Ovulation Test Strips and 20 Pregnancy Test Strips Kit are supported by the FREE Premom Ovulation Predictor App.